A new line of 1/6 scale figures and mini busts, based on the cult favorite 1980 Flash Gordon movie, are coming from BIG Chief Studios. They are known for their 1/6 scale figures based on Doctor Who, Sherlock, and the James Bond franchise. 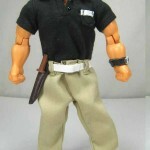 With their announcement, they have revealed the first two 12″ tall figures. BIG Chief is kicking off the line with a Flash Gordon 1/6 Scale Character Replica Figure and a Ming The Merciless 1/6 Scale Character Replica Figure. Additional characters in the line will include Prince Vultan and Prince Barin, with additional figures to be announced at a later date. A line of character mini busts will also be produced. Pre-orders for these two figures will kick off in May. Check out the initial images and full details after the jump. I know we’re running a tad late with this gallery. All the “fun” of life can get in the way of shooting. But I was finally able to put some solid time aside to bring a gallery of figures I have really been looking forward to. Check out my photo shoot of the Bif Bang Pow! Flash Gordon 3.75″ Series 1 Action Figures. The figures are based on the cult classic 1980 film, which saw football hero Flash Gordon transported to the Planet Mongo. There he teamed up with and unite scattered heroes to battle the evil Emperor Ming The Merciless. The figures are Entertainment Earth Exclusives and are available now. Entertainment Earth sent along Series 1 for us to review. We have a full high resolution gallery after the jump. Read on to see the images as well as read my thoughts on the figures. At San Diego Comic-Con 2015, Entertainment Earth had an exclusive set of Flash Gordon 3.75″ Scale Figures. The set included both Flash Gordon and Ming The Merciless. 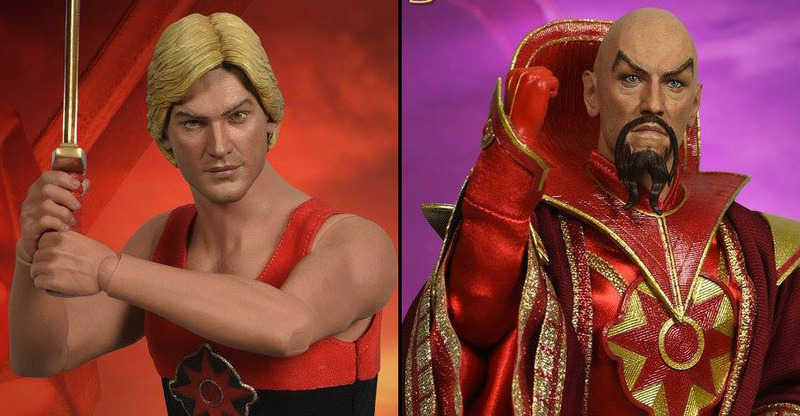 The figures are based on the cult favorite film from 1980 starring Sam Jones as Flash Gordon and the legendary Max von Sydow as Emperor Ming. The set is limited to 1500 pieces and sold for $29.99. Read on to check out our gallery and review of the set. Evil Emperor Ming is out to destroy Earth but not to fear. Flash is here to save us all… in 3 3/4-inch scale, that is! From Bif Bang Pow! comes the Flash Gordon Hawk City Scene 3 3/4-Inch Figure Set – Convention Exclusive. 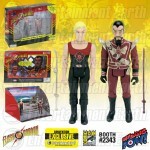 The action figure set includes both Flash Gordon and Emperor Ming. Each detailed figure has 9 points of articulation and comes with its own sword accessory. Packaged in a unique full-color box that includes a fold out diorama of Hawk City, this Entertainment Earth convention exclusive gives fans the chance to recreate the memorable Hawk City scene from the 1980 film Flash Gordon. Will Ming emerge victorious or will Flash save the day once again? It’s up to you, but not for long. This is a limited edition of only 2,400 pieces, each of which comes individually numbered. Not attending San Diego Comic-Con 2015? *PRE-ORDER your Flash Gordon and Ming Hawk City Scene 3 3/4-Inch Figure Set – Convention Exclusive at Entertainment Earth now! Other Entertainment Earth exclusives include a Saturday Night Live Weekend Update Tina Fey & Amy Poehler 3 1/2-Inch Action Figures Set of 2, Adventure Time Traveling Jake Tin Tote Gift Set – Convention Exclusive, the Batman Classic Chair Cape – Convention Exclusive and more. More than 25 Entertainment Earth convention exclusives will be announced until San Diego Comic-Con. Visit Entertainment Earth and all of our social media networks for the latest Entertainment Earth and San Diego Comic-Con news. Read on to check out the image.